You can convert PDF to Excel easily with the steps below. Converting PDF to Excel could be easy. You can do it online or use a third-party converter. Finding a trusted website or converter takes time. But don’t worry. We’ve tried many websites and converters and picked out the best sites and converters for you. You can just choose one of them to convert PDF to Excel easily. The online method allows you to convert PDF to Excel for free, and a converter allows you to have a high quality Excel file. Choose the way depending on your needs. 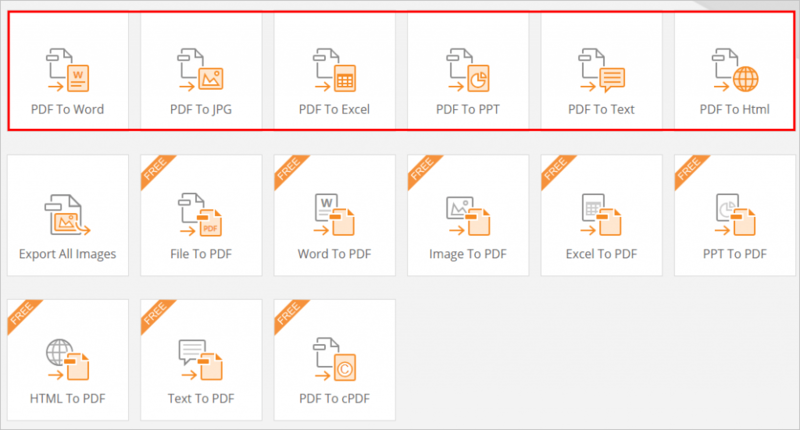 We’ve put together two websites below for you to convert PDF to Excel. PdftoExcel.com is a site that allows you to convert PDF to Excel without signing up. You don’t need to leave your email or other personal information before converting. This ensures your privacy security. Step 1: Go to https://www.pdftoexcel.com/. 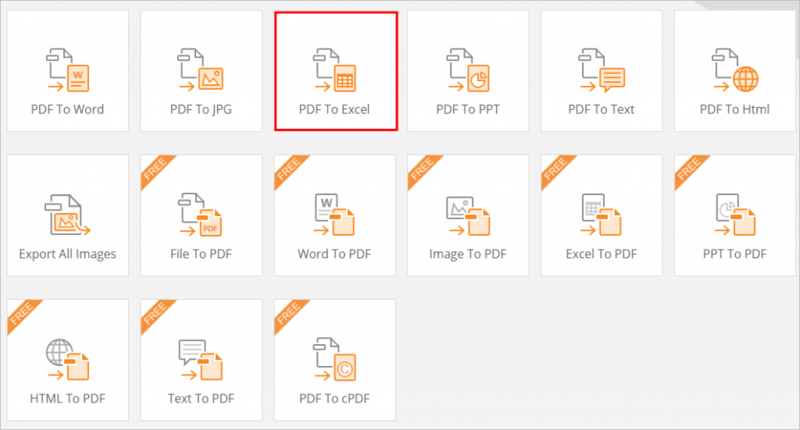 Step 2: Click UPLOAD to select the PDF file you want to convert to Excel. The converting process may take some time if your file is a little big. Just wait until the conversion completes. Step 3: Click Free Download. Note this website only allows you to convert PDF to Excel. It can’t allow you to convert PDF to other formats like Word. If you’d like to convert your PDF to other formats, you can use Website 2. Online.foxitsoftware.com is a website offering online service and software service. The software service is not for free. If you don’t want to pay, you can use their online service. Before you begin to convert your file, you need to sign up on their website. You might worry that your personal information will be exposed. We can tell you that online.foxitsoftware.com is trustworthy company. It’s the partner of many notable companies such as Google, Microsoft, Amazon, IBM. You can sign up on their website without any worry. Step 1: Go to https://online.foxitsoftware.com/. Step 2: Click on PDF to Excel. 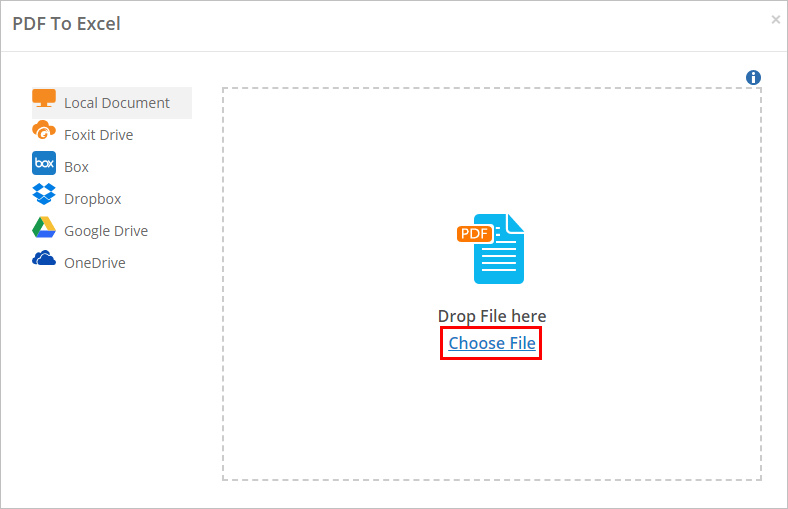 Step 3: Click Choose file to select the PDF file you want to convert to Excel. Then the file will be converted and downloaded automatically. As you can see, online.foxitsoftware.com not only allows you to convert PDF to Word but also to other formats. The advantage of online conversion is free of charge. And the shortage is low quality of the Excel file. Usually, the Excel file won’t have the images and the format will be in a mess. If you want the Excel file has everything of the PDF file and a clean format, you can use a third-party converter. If you’re not sure which converter to trust, you can use Nitro. 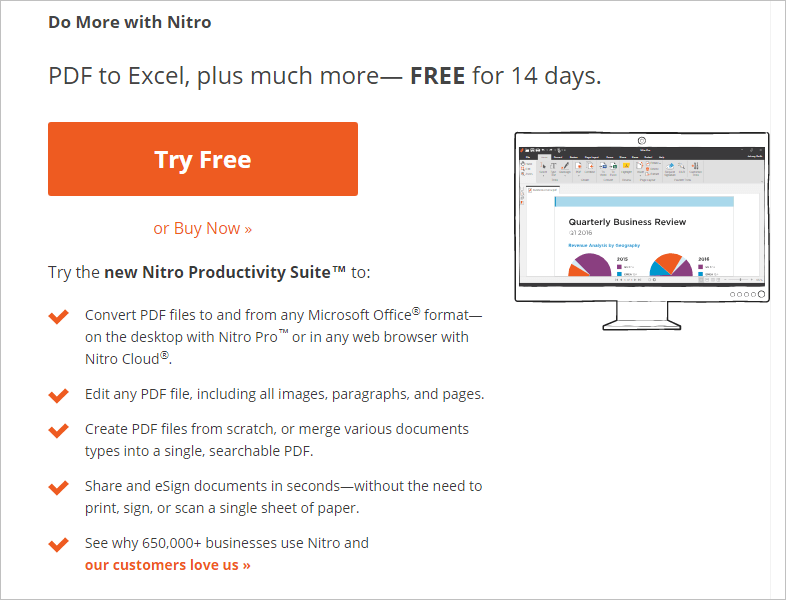 Nitro is a program which allows you to convert PDF to Excel and other formats like Word. It serves more than 650,000 customers every day. With the easy-to-use interface, it allows you to complete the conversion in a simple way. Step 1: Go to www.pdftoexcelonline.com and click Try Free to download Nitro. The program is free for 14 days, and you need to sign up to get the free trial. Step 2: Double-click on the downloaded file and follow the on-screen instructions to install Nitro. After installation completes, the program will be launched automatically. Step 3: Click File on the top menu, and click Open to select your PDF file. 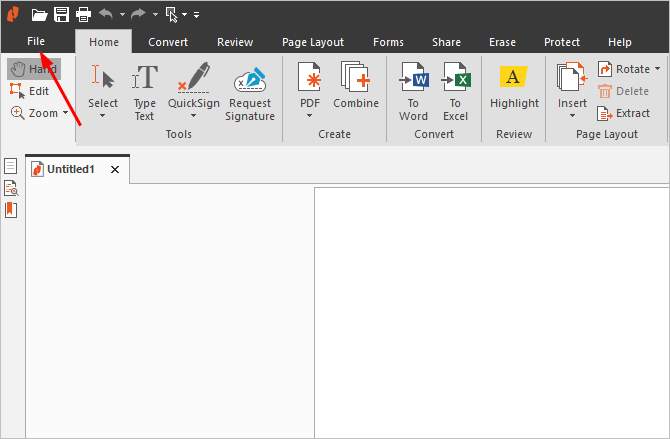 Step 4: Click Convert on the top menu and click on To Excel. 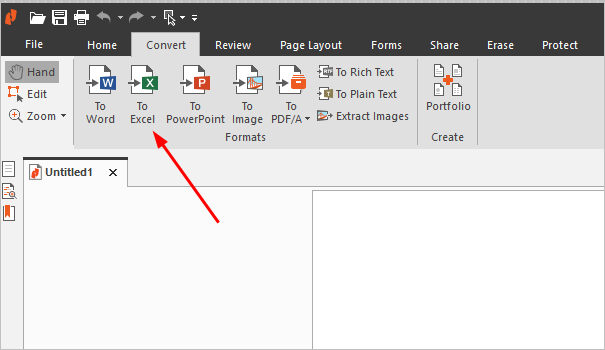 Step 5: Click Convert then your PDF file will be converted to Excel. Three methods are above for you to convert your PDF file to Excel. Hopefully you can convert PDF to Excel easily. If you have any questions, ideas or suggestions, feel free you leave a comment below.